Booked the suite, recently had Reno’s and the suite was beautiful. Lots of room and clean. Bathroom a bit dated but layout was extremely nice. Restaurant serves a wonderful breakfast selection. So charming and cozy, with all of the amenities you have come to rely on. The grounds are so peaceful and we can't wait to enjoy them in the warmer months. Nature out of every window. Where to find Carbonear hotels near an airport? 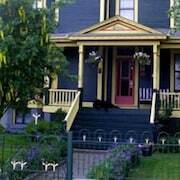 Where can I find hotels in Carbonear that are near tourist attractions? 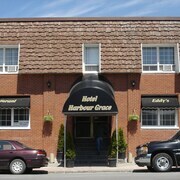 If you plan to stay within a short drive from the middle of Carbonear, the Hotel Harbour Grace could be an excellent option. 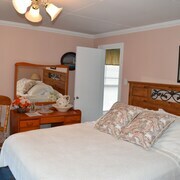 The The Spaniards “Room” Heritage Home and the Silverwood Inn are accommodation options to explore. 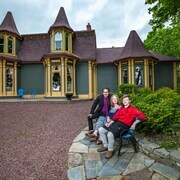 The The Spaniards “Room” Heritage Home is 15 kilometres (9 miles) away from the main part of Carbonear. 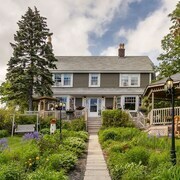 The Silverwood Inn can be found 20 kilometres (12 miles) away. You could also enquire about booking a room the The Bayside Bed & Breakfast. 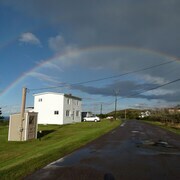 It is situated 18 kilometres (11 miles) from the main part of Carbonear. Why don't you explore the other attractions of Newfoundland while you are in the area? Spend time at Newfoundland's old towns and also photograph the area's rivers and streams. Adventurous visitors may also enjoy snowboarding, skiing and cross-country skiing in this part of Canada. St. John's is 45 kilometres (27 miles) to the southeast of Carbonear and is where you'll find Signal Hill and Memorial University of Newfoundland. Some of our recommended St. John's hotel options include the Delta Hotels by Marriott St. John's Conference Centre and Sheraton Hotel Newfoundland. Or, you could consider staying in Downtown St. John's, 45 kilometres (27 miles) to the southeast of Carbonear, where you can choose from the The Murray Premises Hotel and Courtyard by Marriott St. John's Newfoundland. Should you choose to stay in Downtown St. John's, set aside a little time to visit the Atlantic Place and Spirit of Newfoundland. St. John's International Airport is a logical airport for flying in and out of Carbonear. It is 40 kilometres (24 miles) away. If you would like to stay nearby, try the Holiday Inn St. John's Conference Centre or Balmoral House. 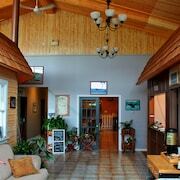 What are the most popular Carbonear hotels? 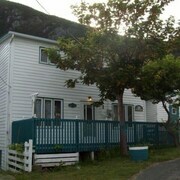 THE Best Vacation Property ON THE Avalon Peninsula IN Newfoundland! Are there hotels in other cities near Carbonear? What other types of accommodations are available in Carbonear? Explore Carbonear with Expedia.ca’s Travel Guides to find the best flights, cars, holiday packages and more!